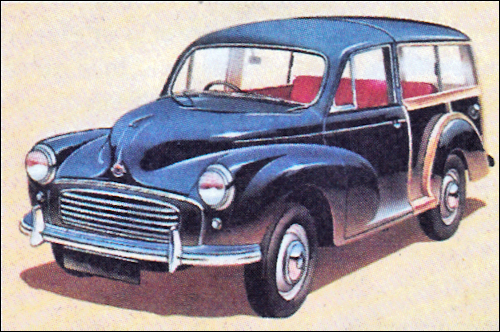 Oxford Mk V – end of prod. 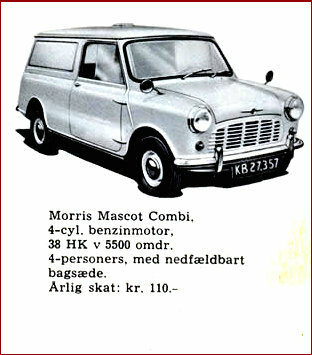 The Mini-Coopers appeared with larger 997 cc 55 bhp engine. 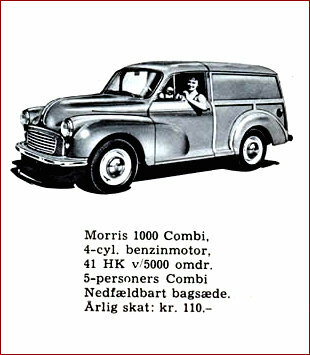 Introduction of the Austin Seven Super and Morris Mini-Minor Super 2-door saloons. 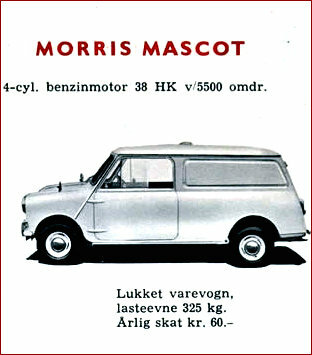 55 bhp wb: 99.25 in. 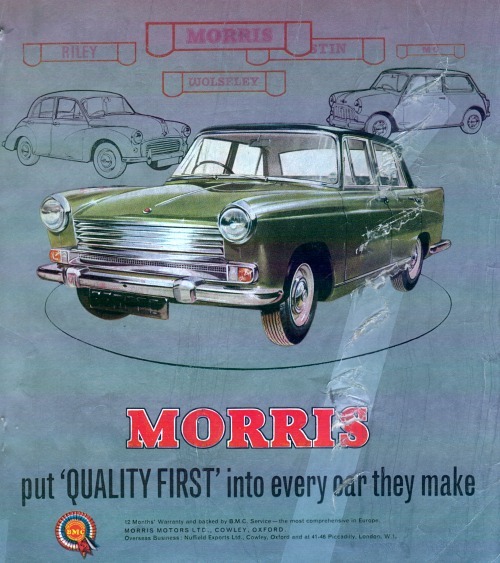 (2521 mm) wb: 99.25 in. 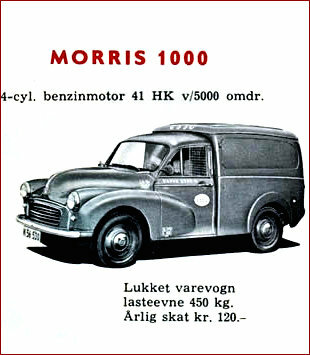 61 bhp wb: 100.3 in. 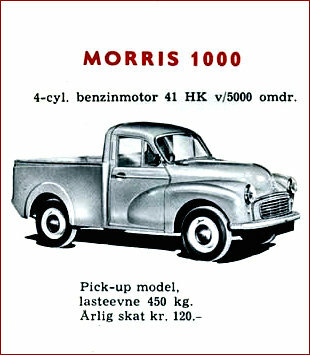 (2548 mm) wb: 100.3 in. 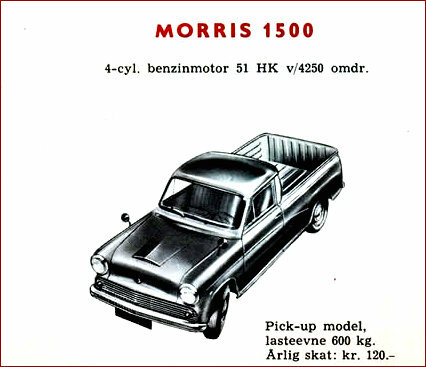 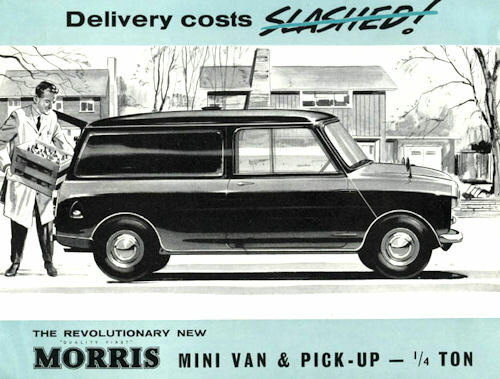 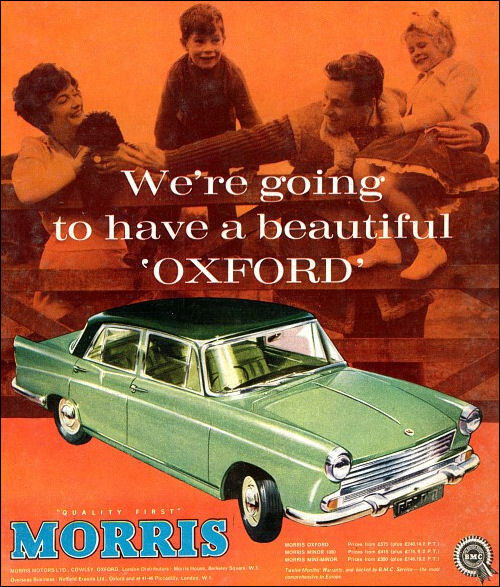 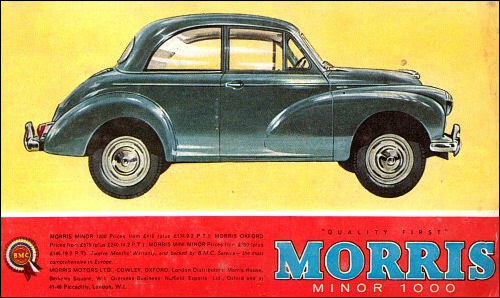 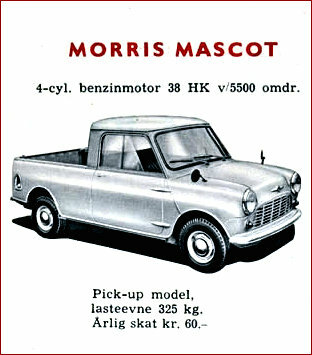 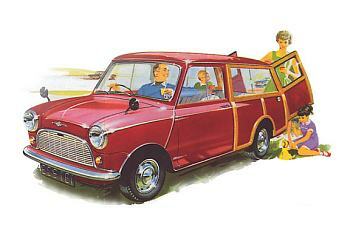 Morris Oxford Farina Series Vl was introduced in August. 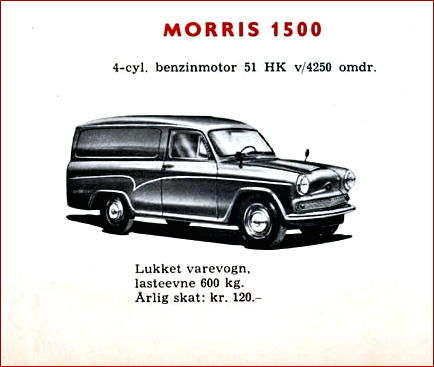 These modified saloon and traveller versions features a larger engine-1622 cc, a radiator grille of eight horizontal bars curved under the headlamps to embrace side/flasher lights, and, on the saloon, a lower rear wing line. 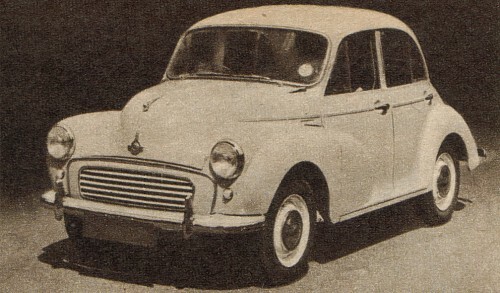 A top speed improved from 81 to 84 mph. 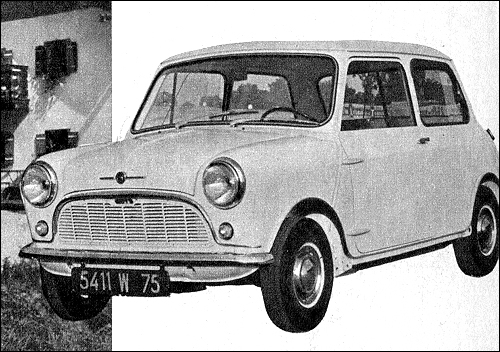 It also has longer wheelbase and wider track.